In this lesson you'll learn to talk about the members of your family. In the photo above you see how to say, the mother, the mom, the father, the dad, etc. 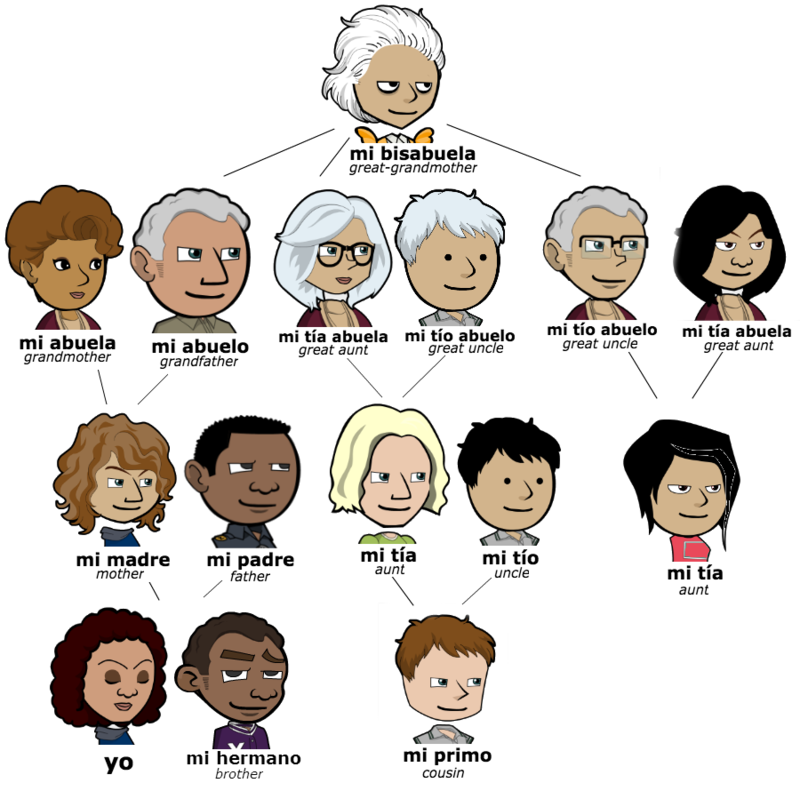 But when you talk about your family members, you're going to use the word(s) for my: mi, mis. If you have more than one, use mis instead of mi for my. 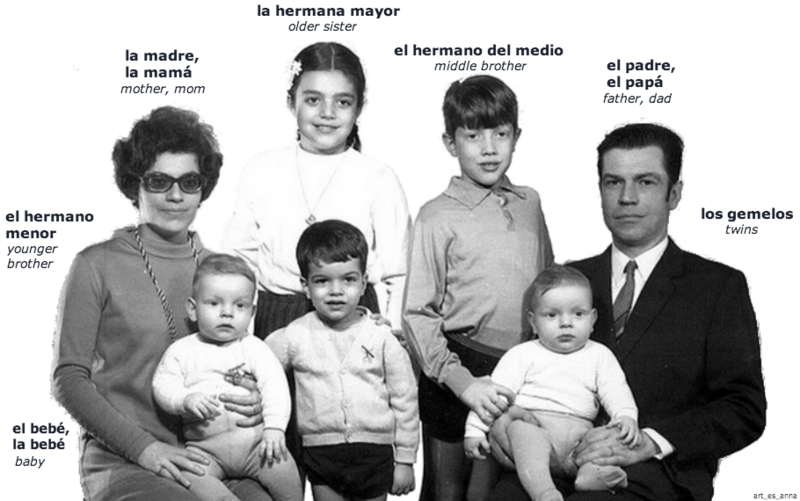 Also, notice that hermanos is less specific than hermanas. Mis hermanos can mean my brothers or my siblings. It assumes that at least one of your siblings is male. Mis hermanas means my sisters. Of course you have more or other family members who are just as important in your life. Translate into Spanish. Do not use a translator. The baby (masculine) is cute (lindo). The older sister is tall (alta).